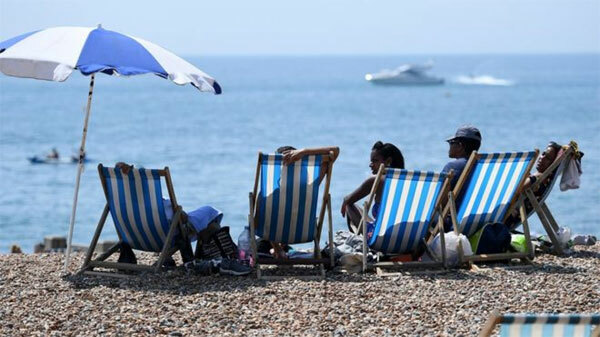 2018 was the joint hottest summer on record for the UK as a whole, and the hottest ever for England, the Met Office has announced. It said highs for summer 2018 were tied with those of 1976, 2003 and 2006 for being the highest since records began in 1910. England’s average temperatures narrowly beat those seen in 1976, they added. 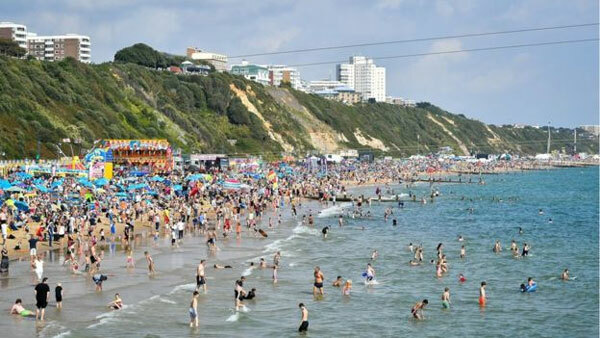 The heatwave saw soaring temperatures across much of the UK throughout June and July. Dry, sweltering conditions for weeks on end gave way to a more average August, said the Met Office. To the nearest 0.1C, all four years – 2018 as well as 1976, 2003 and 2006 – had an average temperature of 15.8C (60.4F). That is 1.5C above the long-term average, the Met Office said. The margins between the years are so small it’s impossible to separate them, they added. In England, the mean temperature was 17.2C (63F). The 1976 record had been 17C. No records were set for other parts of the UK – although it was close in Wales, with an average of 16C, just 0.1C under the current record set in 1995. The hottest day of 2018 so far was Thursday, 26 July, when temperatures reached 35.3C in Faversham, Kent. But it still did not top the UK’s highest-ever recorded temperature of 38.5C (101F), also in Faversham, in August 2003. There were winners and losers in the heatwave. Many enjoyed taking the opportunity to sunbathe or spend more time in the garden. But higher temperatures posed a health risk to some people, and there were record A&E numbers over the summer. There have also been warnings food prices could rise in the coming months because of the extreme weather. Having record average temperatures is consistent with the general picture of the climate warming in the UK and globally, the Met Office said. A spokeswoman told BBC News: “It’s generally accepted that the risk of heatwaves is increasing due to global warming. Friends of the Earth’s head of policy Mike Childs said: “This is yet another bleak warning that we’re racing towards catastrophic climate change. “But rather than taking their foot off the pedal, ministers continue to fuel the crisis with more roads and runways and by championing the development of dirty gas and oil. The scorching summer could now give way to an autumn of above-average temperatures, the Met Office said. They said the three-month outlook, which covers August, September and October, shows “an increased chance of high-pressure patterns close to the UK”. Meteorologists say above-average temperatures are more likely because sea surface temperatures are at “near-record” levels.